Mitchell Starc, Alyssa Healy, Dean Jones attend the annual event and help promote cricket in the country. Assad Vala and Pauke Siaka, the men's and women's captains of Papua New Guinea, were honoured at Cricket PNG's star-studded annual gala recently. Australia's Mitchell Starc, Alyssa Healy and Dean Jones visited Port Moresby in PNG to help promote cricket in the country, and later attended the gala, where they shared their experiences and stories with the local players. “We’re very lucky to attract Mitchell (Starc), Alyssa (Healy) and Deano (Jones) to PNG. 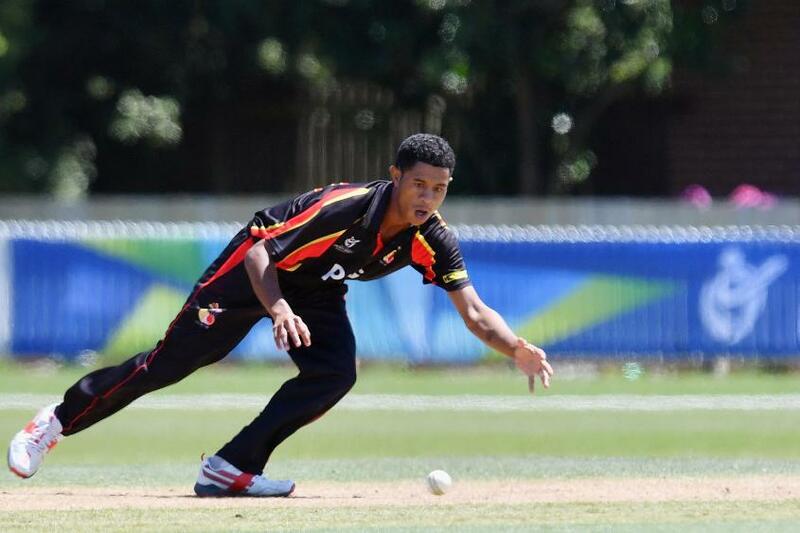 To have these high profile international cricketers in PNG will help boost the sport of cricket further,” said Greg Campbell, the CEO of Cricket PNG. The event celebrated the best cricketers of PNG based on performances from 1 January 2017 to 31 May 2018. The Lewas Medal for the best Women's Cricketer of the Year was given to Siaka for her performances in the ICC Women's World Cup Qualifier in Sri Lanka in February 2017, where she took 6/19 against Scotland. Then, she led them in the ICC Women's T20 EAP Qualifier in Japan in May 2017 to confirm their participation in the Women's World T20 Qualifier in the Netherlands in July 2018. Vala was honoured with the 2018 Tony Elly medal for best male player for a consistent all-round showing. James Junior Tau won the Rarua Dikana Medal for the best Under 19 cricketer. He impressed with his bowling at this year's ICC Under 19 Cricket World Cup EAP Qualifiers in Samoa, taking seven wickets from four matches. Her husband, Starc, the pacer who is recovering from a foot injury, and Jones, the former Australia batsman, too shared their insights and spent time with the teams.